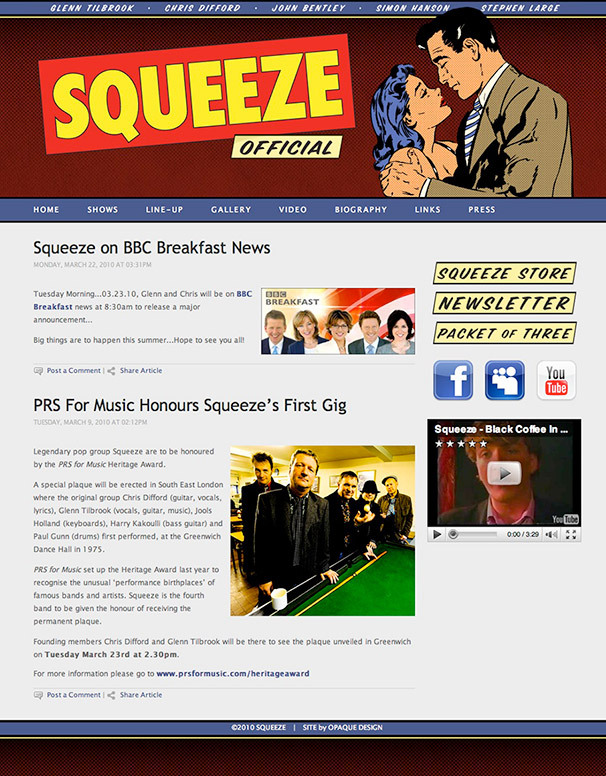 Web site designs for Squeeze Official. 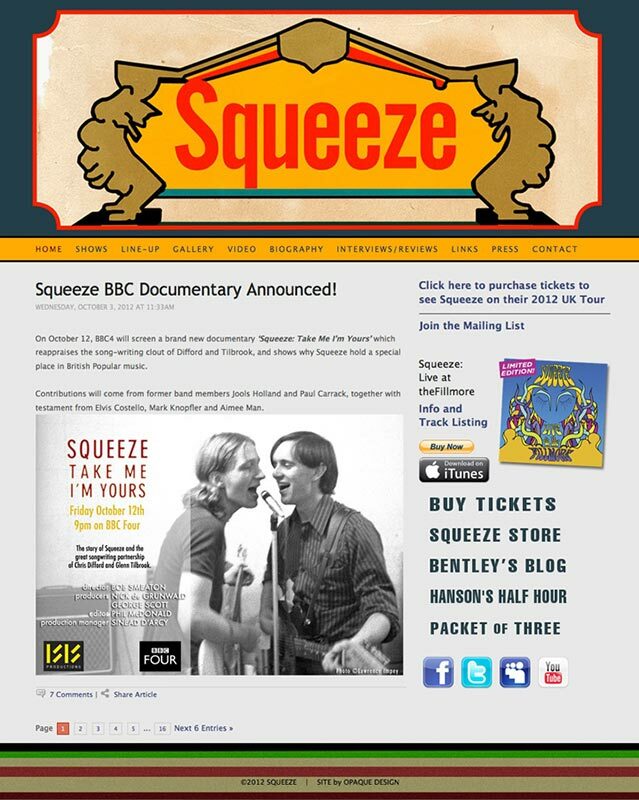 Designed the official web presence for the rock band Squeeze. 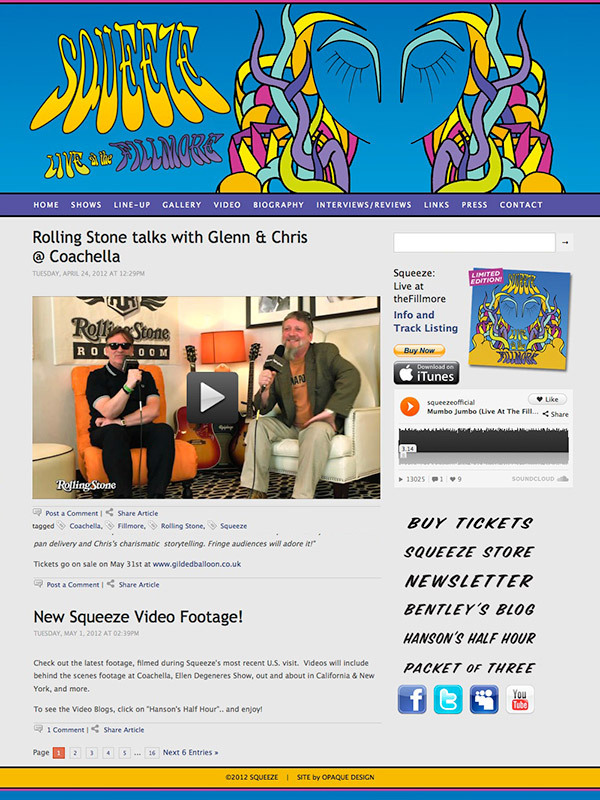 This is our third site design for the band, and is based on their “Pop Up Shop” tour poster. 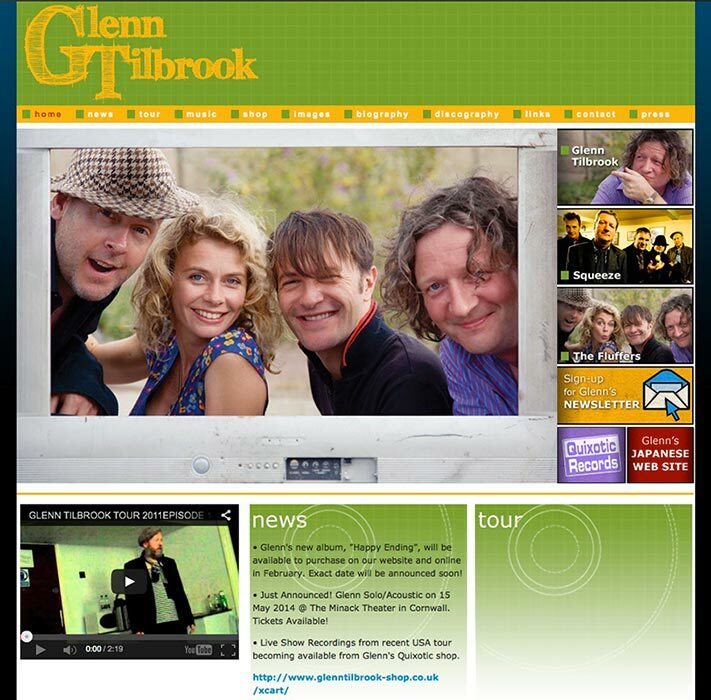 We also created a design for Glenn’s solo work.